We’re only 10 days away from the NFL Draft. Below is my third complete Chicago Bears mock draft, which is the second to last as I will unveil my fourth and final version next week. This makes three for three that Allen is my first round pick at number three overall. 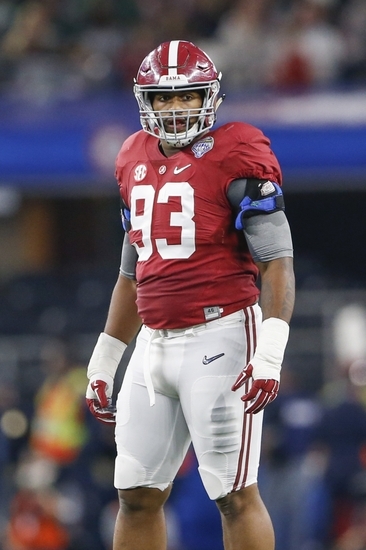 He’s smart, athletic, and the playmaker that the Bears could use to fill the gap at the defensive end. His size is a common knock on him, as well as his arthritic shoulders. Neither his size nor shoulders are concerning as he has play making abilities that stand out over those two dimensions he can’t control. If the Bears are looking for an immediate impact player, they should look no further than Allen at number three. The corner from Iowa looks like he will make the switch to safety in the NFL. Being able to play both safety and corner will serve him well in trying to find the respectable playing time he is after. He’s a physical, ball-hawking defensive back. King had ten interceptions in his last two seasons at Iowa. He ran a 4.5 40-yard dash at his pro day, proving that he is not as slow as some say he his. It appears he is only slow in flipping his hips to change directions when watching his tape at the NFL Combine. Whether he plays in the slot, or at safety, the Bears run defense will not take a hit with King on the field. A small player with a big drive to succeed. Lewis does a good job of sticking on the receiver’s hip and batting the ball out of their hands when the pass comes in. Lewis comes in a little short at 5-10″, but his attitude when he plays is taller than that. 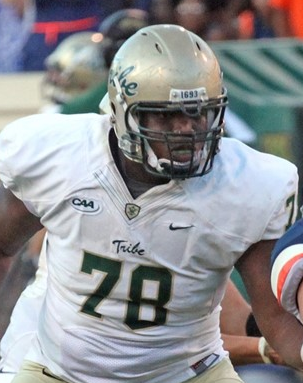 His outstanding cover skills will have a big impact on where he lands on the depth chart. He only allowed two touchdowns in his three years as a starter. Don’t expect him to cover an opponents’ number one receiver, but don’t think he won’t accept the challenge if it’s handed to him. 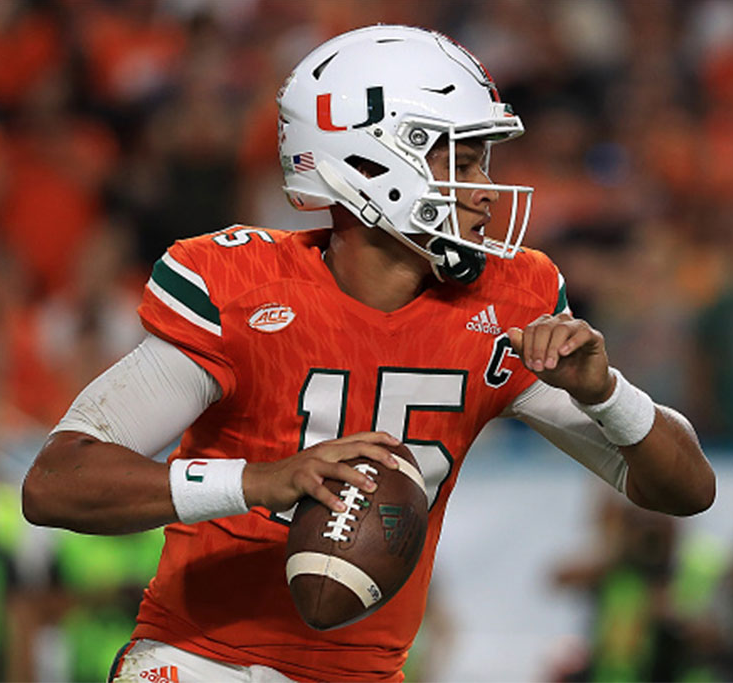 A quarterback that has experience under center, and has shown growth every year in his last three seasons with the Canes, Kaaya can be Dowell Loggains development project. He moves through his progressions well, looks guys off his receivers, and keeps the safety from jumping routes. Kaaya lacks in the arm strength department and has some mechanical issues that can be tuned up. At the end of the day, if he’s available in the fourth round, this is a solid addition to cap off the Bears quarterback position. 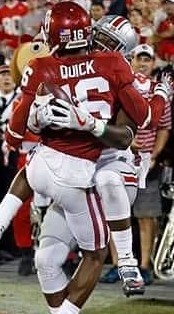 Prior to breaking his leg in the spring of 2015, there was a lot of speculation in the Big Ten that Brown was going to be the Buckeyes big play making receiver. Unfortunately, he never quite reached that level. 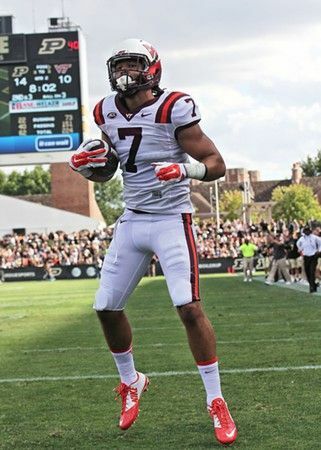 However, he did have a very impressive showing against the Oklahoma Sooners where he had five receptions for 72 yards and four touchdowns, including the catch where he caught the touchdown pass in the corner behind the defender’s back. Brown will not turn on the burners and beat anyone over the top, but he runs good routes and comes back to catch the ball. The potential is there, but due to his lack of experience and the injury year in 2015, he drops to the fourth round. Originally, I had him in my very first mock draft in the second round. Now I have him dropping to the fifth round. Why? His frame is not everything. While 6-7” and 257 lbs looks ideal for a tight end, his play needs more polishing than initially thought. Ball security and route running are the top two aspects he needs to address before he becomes a top-tier tight end. The football I.Q. is there as he used to play quarterback, and the frame is there. He just needs some more time to put it all together, and for right now with Zach Miller and Dion Sims ahead of him, he will have that time. Here’s a mean tackle that can play either on the left or right side. Ogukwe is quite athletic, and that will serve him well when competing for playing time. This pick is more for depth at the position as it is the weakest for the Bears on the offensive line.